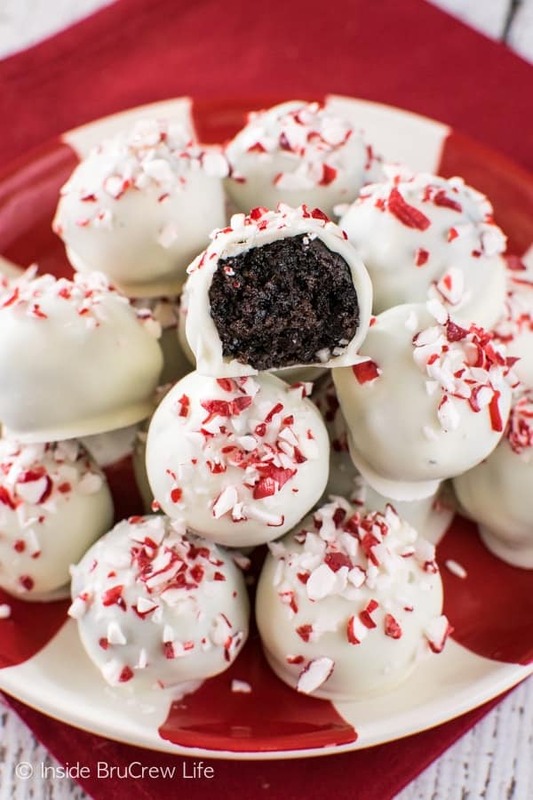 A batch of these Peppermint Brownie Truffles will not last long at your holiday parties. Easy treats that look like they came from the store are perfect because they will impress everyone. Most of the time I love to go all out and bake over the top desserts. 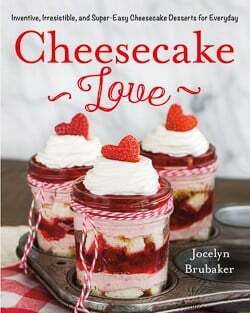 It’s so much fun coming up with new ideas and new ways to put together a sweet treat. 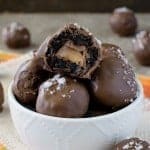 Hiding candy bars inside cookies or truffles is one of my favorite things to do. These salted caramel brownie bites are one of my favorites. Our kids devoured these little brownie bites in no time at all. When all three kids give something two thumbs up, I know I’m onto something good. This coming weekend our church youth group is doing a progressive dinner as their holiday party. Our house is the dessert stop. Does that surprise you? One of the youth leaders asked if I wanted help making treats for the kids. I’m cool with anyone who wants to bring stuff, but honestly this house is like a home bakery because of all the treats that happen each week. Treats for 40 people shouldn’t be a problem because I’m sort of a crazy baker this time of year! The funny thing about me is that when I “have” to make dessert I freeze up. My mind races in about 100 directions trying to come up with things that everyone will love because I want to please everyone. 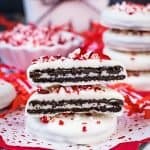 Coming up with ideas of fun treats to make “just because” is so much easier. My plan is to open the pantry door and pull out all the holiday candies and baking supplies that I bought and haven’t used yet. I tend to over buy on that kind of stuff because I’m always afraid I won’t be able to find it when I actually want it. 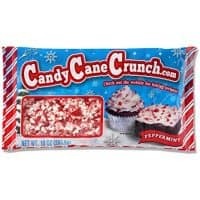 After taking a peek in the pantry, I saw peppermint cream cookies, peppermint frosting, peppermint candies, candy canes, peppermint sticks, M&M’s, brownie mixes, and peppermint pretzels. 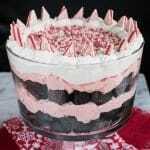 It’s safe to say that the party will be well supplied with peppermint goodies. I should probably come up with one other flavor because what if they don’t like peppermint. Yikes! I only have 2 days to come up with a plan. Make a pan of fudgy brownies and let them cool. Be sure you do not over bake them because they roll much better when they are fudgier. Cut the very edge of the brownies off. That crispy part doesn’t roll as well either. I’m sure you won’t have any problem with disposing of the brownie edges. Cut the rest of the brownies into 35 squares and roll them into balls. Press a paper straw into the top of each one. Place in the freezer for at least an hour. 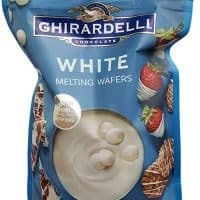 Melt your white chocolate wafers according to the directions. Dip each truffle into the melted chocolate. 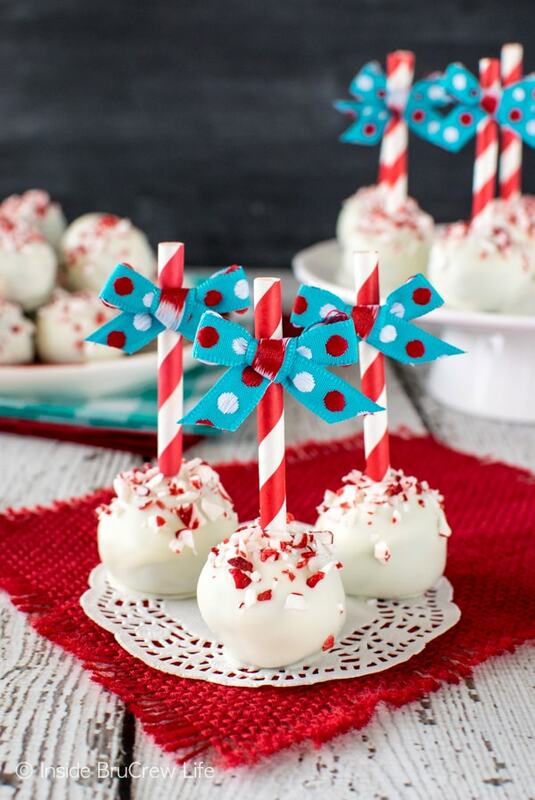 Place the truffles on wax paper and top with peppermint bits right away because the chocolate will set up. Quick tip: If the chocolate sets up too quickly, use a blow dryer to heat the tops of the truffles up just enough to make the candy bits stick. 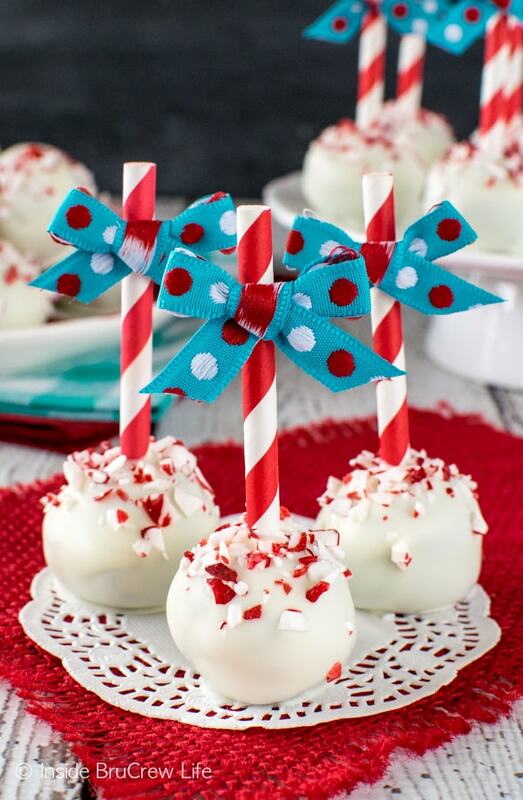 Add a ribbon bow to the straws using glue dots. You can also dip the chocolates with a toothpick or fork instead of using straws. 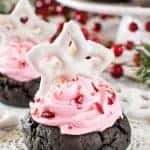 These easy Peppermint Brownie Truffles are an easy treat to add to holiday cookie trays. 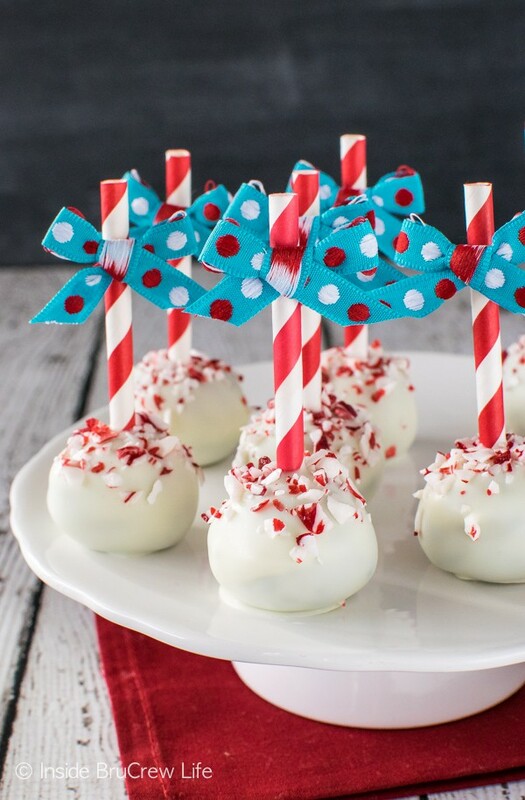 The striped straws and bows make the sweet treat stand out from everything else. Preheat the oven to 350 degrees. Spray a 9x13 baking pan with nonstick spray. Prepare and bake the brownie mix according to the package directions. The baking time will vary depending on the brand of brownies you use. Do not over bake. Let the brownies cool completely. Cut the hard outside edges of the brownies off, and then cut the rest of the brownies into 35 squares. Press and roll the squares into balls. Add a paper straw to the top of each brownie bite. Place on a wax paper lined tray and freeze for about an hour. Melt the chocolate according to the package directions. 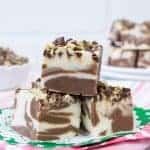 Dip the brownie bites in the chocolate and place back on the wax paper lined tray. 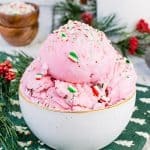 Sprinkle with peppermint bits immediately. Let set. *You can also double these Homemade Chocolate Chip Brownies and bake them in a 9x13 pan for 30 minutes if you prefer that. If you make these, leave out the chocolate chips. **You can also use a toothpick or fork to dip the truffles if you do not want to use straws. ***Attach ribbon bows to the straws using glue dots. *This post does contain affiliate links. Inside BruCrew may receive a small percentage of sales made through these free links. This does not cost you anything extra. 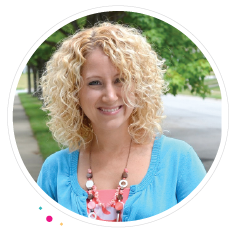 Thank you for letting us share products we use and love. 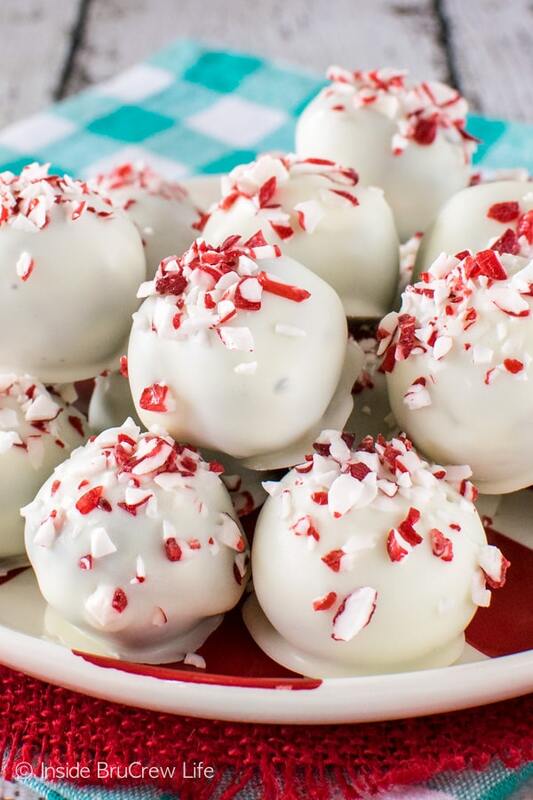 I love making truffles, and these look so festive for Christmas! I can relate to your candy/cookie stash. My fridge in the kitchen and the one in my basement are still full with candy! Wow, these look fantastic! I need them in my life now!